Bronica Sung, age 5, is a kindergartner at CASA Academy. Bronica moved to this country as a Burmese refugee. 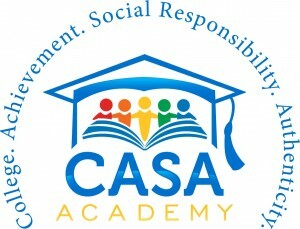 Her favorite thing about CASA Academy is the guided reading group that she has with her teacher! 7:35 AM: Bronica’s bus arrives at CASA. Bronica is greeted by her principal and her teacher. After handing in her homework, Bronica heads into her classroom to eat breakfast. 7:55 AM: Bronica’s classroom, ASU, starts the day by learning how to make eye contact when greeting one another. ASU practices their “college chant” in preparation for their school-wide assembly on Friday. 8:20 AM: During calendar math review, ASU counts how many days they have been in school; today is the 35th day! Bronica sings chants to identify the current month, day and year. 8:50 AM: It’s the first recess of the day, as Bronica heads out for a game of tag. 9:05 AM: Bronica’s teacher, Ms. Lowry, teaches ASU letter sounds, phonograms and sight words as the class begins to learn the building blocks of literacy. from The Foot Book by Dr. Seuss. 10:35 AM: It’s math time! Bronica counts, identifies and writes the number six. 11:20 AM: At lunch, Bronica eats yummy whole wheat pizza, carrot sticks, and a fruit cup. 11:50 PM: In Writer’s Workshop Bronica writes about and illustrates items that are blue. 12:40 PM: During math acceleration, Bronica writes the numbers 1-6 while her teacher pulls a small math group. 1:00 PM: For her final recess of the day, Bronica plays “school” outside with her friends. 1:45 PM: During their Daily 5 block, Ms. Lowry instructs ASU on how to use one’s finger when reading. Bronica works with her teacher in a small group, then moves to the carpet to listen to a book on CD. 2:55 PM: ASU gathers together for Community Circle as they end their day. 3:20 PM: Time to go home! Bronica boards the bus to head home to her family.